More than 16 million Americans suffered at least one major depressive episode in 2016. Photo from Pxhere by CC0. Adam’s depression struck when he turned 20. “I went from a social, happy guy to a very moody suicidal recluse,” he writes to me in a private Reddit message. He spent over a year in a downward spiral, feeling worse each day while medication after medication failed to reduce his symptoms. He attempted suicide twice, by overdose. The second time, waking up surrounded by his family and best friend, he hated himself for the pain he had caused them and decided to take a drastic step: He agreed to undergo a treatment involving electrically induced seizures known as electroconvulsive therapy (ECT), also called electric shock therapy. ECT is a treatment riddled with enigmas. Psychiatrists can prescribe it down to the millisecond, but don’t know why it works. It’s the textbook treatment for patients too vulnerable for standard drugs, yet the Pennsylvania state legislature is considering banning its use in children under 17. Most psychiatrists consider it a standard, modern medical treatment, but the therapy’s historically violent image still looms large in the public eye. “The only more controversial treatment in all of medicine is abortion, and yet, ECT is one of the single most effective treatments,” says M. Justin Coffey, a psychiatrist at the Menninger Clinic in Houston, Texas. ECT patients have also generally tried — and failed — to treat their depression with antidepressants. After all, who would choose an invasive procedure if a pill could fix things? Kellner makes an exception only for patients in immediate danger from suicide or starvation. “In those situations, ECT becomes a medical emergency,” he tells me from his office at the New York Community Hospital in Brooklyn. In other words, ECT is for people like Adam. Just as surgeons no longer manage pain with bite straps and bourbon, ECT physicians no longer practice the violent and painful treatment depicted in movies like One Flew Over the Cuckoo’s Nest. Today, patients receive full anesthesia and a muscle relaxant, which make them unaware of the seizures. The typical course involves two or three treatments a week until the episode passes, which often takes one to two months. For Adam, the most unpleasant parts were waking up at 6 a.m. to visit the hospital, the claustrophobic feeling of the anesthesia mask, and a lingering muscle soreness after each session. On his desktop, Kellner shows me a video of an ECT session shot years ago for a documentary, and it is indeed different from what I’d seen on TV. An unconscious woman dressed in a white gown lay flat on a hospital bed, an electrode stuck to each temple. When Kellner switched on the machine, her face muscles squeezed with a passing wince and then relaxed. She remained largely motionless as the 30-odd-second seizure played out, one foot slowly bouncing back and forth like one might do absentmindedly while lying on the couch. Advocates point out that ECT is one of the safest procedures you can do under anesthesia, with an analysis of 15 studies in 32 countries finding a mortality rate of about two deaths per 100,000 treatments, as compared with nearly three and a half deaths per 100,000 surgeries. It’s also safe for patients with other serious conditions, including diabetes, high blood pressure, and heart disease, as well as the elderly, Kellner says. But what many patients really fear are the mental effects of the electricity. “Just the thought of running electricity through your body to force a seizure sounds terrifying,” Adam says. Newer forms of the treatment applying shorter electrical pulses and placing an electrode on only one temple have lessened the severity of the side effects, but ECT still does three things to memory: It causes confusion immediately following treatment, makes it harder to learn new things during treatment and erases some recent memories, although many of these return later. It’s these effects that upset critics. “The side effects of ECT can be debilitating even for adults. Children should not be forced to undergo a treatment that can have a lasting impact on their physical and mental wellbeing,” wrote Pennsylvania State Representative and anti-ECT bill co-sponsor Stephen Kinsey in a press release. Advocates admit that the procedure can be damaging. “We do a gross disservice to our patients, the public, and ourselves when we deny the existence of an adverse effect that has been documented in various ways for decades and is a central concern of our patients,” Harold Sackheim, long time ECT researcher and professor of clinical psychiatry at Columbia University, wrote in 2014. Nevertheless, ECT researchers say that benefits outweigh the risks in most cases. A 2006 article co-authored by Sackheim describes the mental effects on more than 200 patients as measured by a series of cognitive tests before, shortly after and six months after treatment. Performance on reaction time, concentration and short-term recall tests all dropped after the treatment. Six months later though, those deficits had disappeared in all categories save reaction time. The typical patient actually scored better on most tests than they had before the ECT, which the researchers attributed to the way depression impairs thinking. Persistent amnesia was unusual, but not rare — reported in about 12 percent of the patients. Coffey, who estimates he’s treated about a thousand patients, says that pinning down a cause for memory loss is hard because ECT, antidepressant drugs and depression itself can all cause similar memory problems. In his experience at Menninger, however, most patients see overall memory scores improve as their depression recedes, even if they do have some ECT-related amnesia. “I can probably count on one or two hands the number of patients I’ve had who’ve actually stopped ECT because the memory impairment was distressing enough,” he says. Kellner emphasizes the fact that all treatments present tradeoffs. He likens ECT amnesia to chemotherapy-related hair loss: distressing but better than the alternative. “It does little good to have a perfect memory of the past if the present is intolerable,” he wrote in a recent editorial. Chemotherapy also has short-term side effects that make people feel ill and can cause long-term heart and nerve damage, yet no state representative has proposed banning it for adolescents. Adam calls his memory “terrible” but hesitates to blame ECT. Unprompted, he mentions that he’s spent years on Benzodiazepines, a type of medication known to cause amnesia, and echoes Coffey’s comments emphasizing that depression itself also damages memory. What really makes psychiatrists believe in the therapy is its efficacy. “The first time you see a profoundly depressed patient get better within days with ECT, it’s transformative,” Kellner says. He recently published a multi-hospital study, Prolonging Remission in Depressed Elderly (PRIDE), and found that of 240 depressed, elderly patients who underwent ECT, 62 percent went into remission, while 10 percent did not and 28 percent dropped out. The patients continued to take anti-depressants, but since the drugs had failed to stop their depression in the past, researchers suspected that the new improvements had been jump-started by ECT. 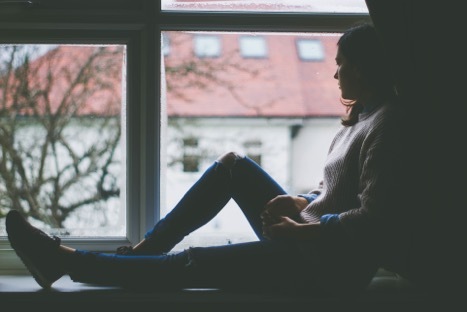 To measure severity, researchers used the Hamilton Depression Rating Scale, a 17-question survey assessing symptoms including insomnia, mood, appetite and anxiety. Psychiatrists consider scores higher than 23 to represent “very severe depression,” and the average initial score of these participants was 31. The 62 percent who recovered achieved a final score of six, which is considered “normal,” over the course of seven sessions on average. No test can objectively measure how people feel, but the average improvement represents a large drop in self-assessed symptoms. Jack Vaeth, a psychiatrist in private practice in Maryland, emphasizes that the success rate is even more striking considering that ECT is prescribed only for the toughest cases of depression. Due to its reputation as a treatment of last resort, patients referred to him have often tried more than a dozen antidepressants over the course of a year or longer. “We’re taking patients with a zero percent chance on meds because they’ve tried them and saying: ‘at the worst you have a 60 percent chance [of recovering with ECT].’ It’s a huge thing,” he says. Jonathan Stevens, the chief of child and adolescent psychiatry at the Menninger Clinic, calls ECT a “wonderful and underutilized” treatment for its effectiveness, but he takes issue with the idea that some patients are beyond the reach of medication. In addition to newly minted antidepressants, strategies such as combining different drugs or trying higher dosages under strict observation can sometimes reach patients with entrenched depression, he says. Stevens also uses genetic testing to try to identify the medication most likely to be effective and thinks such individualized drug treatments are off to a promising start. Rather, he refers patients to ECT when time is of the essence. Medication doesn’t take effect for weeks and tinkering with type and dosage can take longer, while ECT acts fast — two to three weeks in the PRIDE study. “When people are in an urgent situation, but not an emergency, there’s more wiggle room to try different medication options,” Kellner says. Of his non-critical referrals, many are patients who request ECT themselves in order to meet a hard deadline. “I’ve had people who have to start a shoot for a movie in three weeks, so they might be more inclined to get better quickly and avoid some of the side of effects of medicine, such as weight gain,” Stevens says. What physicians dream of is a test to tell them ahead of time which patients will benefit, but first they’ll need a better understanding of what ECT actually does to the brain. A neuroimaging team at UCLA is pursuing one new theory: that depression shrinks certain areas, and ECT makes them grow. An analysis of brain scans of 43 depressed patients and 32 non-depressed participants linked depression with having a smaller hippocampus. Over the course of ECT, the size of both the hippocampus and the amygdala grew as depressive symptoms decreased, according to results published in 2016. But some doctors worry the treatment isn’t reaching everyone it should. In his office, sitting under four Castle Connolly “Top Doctors of New York” plaques, Kellner sighs. “I have treated psychiatrists, I have treated surgeons, I have treated internal medicine doctors. Depression is an equal opportunity employer. Nobody is immune.” Nationwide about 100,000 people receive the treatment each year, but he estimates tens of thousands more would benefit. Stevens agrees that the treatment should be more widely available. “Suicide is claiming far too many lives. Far too many,” he says. ECT could save, he thinks, a lot of them. ECT gives permanent brain damage. Any immediate effect is due to concussion. A temporary euphoria which fades after 4 – 6 weeks and the patient goes back to how they were plus they now have brain damage. People can forget their education and many years of their past life. They can have cognitive deficits and be unable to make new memories. ECT machines have never been tested for safety on humans by the FDA (US) or the MHRA (UK). Unfortunately, they are big business which is why psychiatrists are lobbying the FDA (US) to relegate the machines from class III (dangerous and untested) to class II (as dangerous as a wheelchair) so they don’t have to be tested. The FDA are being pressurised by congress to do one or the other.